Painful personal experience fuels my belief that Manchester City will drop points in their final eight Premier League games and that could open the door for Liverpool to finish this season as champions. I remember being in a similar position to City back in 1989, when the Liverpool team I was a part of had to cram in a succession of fixtures after we were forced to rearrange games following the Hillsborough disaster. We had to deal with the emotion of a disaster that still affects me and everyone associated with it to this day, while also trying to get our heads focused on football. We played on the Tuesday night and then the Friday in a title decider against Arsenal, just a few days after we had beaten Everton after playing extra-time in a draining FA Cup final at Wembley. George Graham’s Gunners needed to beat us 2-0 at Anfield to win the First Division title on goal difference and fatigue was a big factor in them pulling off their win, with a last-minute goal from Michael Thomas that still haunts me to this day. While City don’t have the emotional strain we had to deal with 30 years ago, they do have a fixture pile-up that will test them to the full. 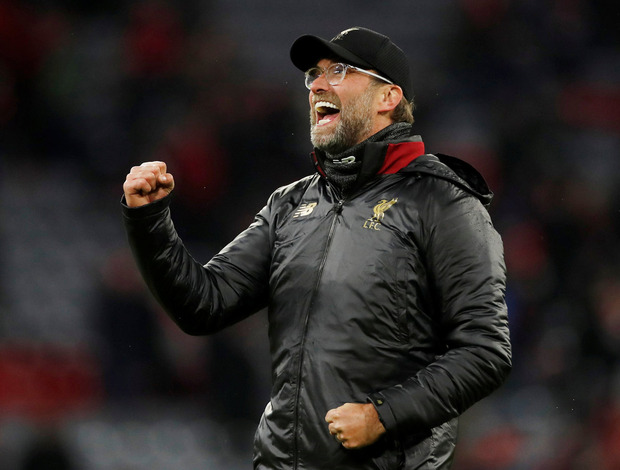 Using recent form as a gauge, Pep Guardiola’s reigning champions appear to be firm favourites to win the title, but Liverpool’s return to the top of the table after their tense win at Fulham last Sunday was a timely reminder that Klopp’s men are not going to give up on this title race easily. But on the plus side, City’s uncertain performance at Swansea in the FA Cup last weekend highlighted vulnerabilities in their line-up and if they do go 2-0 down against Premier League opposition away from home, they probably won’t come back in the manner they did against the Championship outfit. I believe we can do that, however I suspect we are in for a few more twists and turns before the Premier League trophy is handed over on May 12. Here is my guide to the games that will decide this season’s Premier League, with my final prediction highlighting just how tight I believe this title race will be. You may be surprised to see the Palace v City game on my list of potentially decisive fixtures, but it’s there for good reason. City’s draining schedule includes the FA Cup semi-final against Brighton at Wembley, a Champions League quarter-final first leg at Tottenham’s new stadium the following Tuesday before they face Palace at Selhurst Park and the return European leg against Spurs. They play all of those games in just 14 days. It’s a run of fixtures that would push any team to their limits and if they pick up injuries and maybe have a bad result at some point along the way, the game at Palace could be one to watch as a potential stumbling block in their Premier League fixture list. Palace memorably beat City at the Etihad Stadium in December and that result will unquestionably be in the minds of City players when they go to Selhurst Park, where the atmosphere is always intense from the home fans. Liverpool’s next game against Tottenham is obviously a huge game but I believe Klopp’s men will win it. The Manchester derby is another fixture that could see City dropping points away, but we can’t just look at the big games as being decisive when the pressure is this intense. Nerves will play a part in the final few weeks of the season, with Liverpool’s away games at Southampton and Newcastle tricky assignments for Klopp’s players. Southampton fought hard to beat Tottenham last weekend and they will fancy their chances of doing something similar to Liverpool, and it would be ironic if Rafael Benitez’s defensive gameplan at Newcastle halted his former club’s title challenge in the penultimate game of the season. City’s Premier League game against Tottenham will come after their two Champions League meetings and the tone of that game will be dictated by the outcome of their European battles, with Spurs capable of taking points off them if they are at their best. I believe the Premier League title race will be decided on the last day of the season – with Liverpool and City neck and neck going into their final games. City will travel to Brighton on the last Sunday of the campaign and you would certainly expect them to win, while Liverpool have a home game against a Wolves side that may well have their minds on the club’s first appearance in an FA Cup final since 1960. If this scenario becomes a reality, Liverpool will have a real shot of emerging victorious, but the title is City's to lose and Liverpool are relying on help from others to end their long wait for glory.